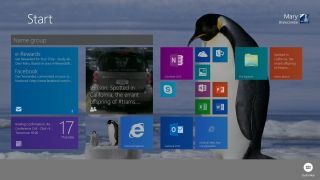 Will Windows 9 go free to tempt us into an upgrade? Will the Windows 9 price be right for users? Windows 9 news is coming at a faster clip now that we're drawing closer to its likely September 30 debut, and the latest concerns the new OS's price. According to Russian leaker WZOR (via Myce) Microsoft is planning some nice incentives to get folks to upgrade to Windows 9. For Windows 8.1 users who want to make the jump, WZOR reports Windows 9 will either come free or be available through a special offer. We'd put our money on it going the free route since Windows 8.1 arrived at no charge for Windows 8 users. If you bought a retail or OEM flavor of the Windows 8, Microsoft will apparently throw you a Windows 9 upgrade for around $20 (about £12, AU$21). Finally, since Windows XP holdouts are still numbering more than Microsoft would like, despite the company ending support earlier this year, the firm is said to be planning an "awesome" incentive to get XP users to cave in to Windows 9. WZOR's leak didn't stop at pricing details. According to the Russian crew the enterprise version of Windows 9 will leave the Metro interface at the door. Microsoft won't release a test version of Windows 9 Pro OEM, though there is a Windows 9 Enterprise technical preview out in the wild, apparently. Despite many calling the death of Windows RT all but complete, Microsoft apparently isn't ready to give up on its much-maligned OS. Instead, the firm is prepping Windows 9 RT and in fact already has a test build made. As you might expect, Windows 9 RT will arrive on the unannounced Surface 3. There were also a few rumored Windows 9 features to be had as well. WZOR maintains the system will support 3D-mode Ultra HD TVs and allow for cloud data back-up and restoration. Last but not least, Microsoft is said to be creating a feature for virtualizing physical system backups in the cloud. Sounds pretty nifty. What can we expect to see during IFA 2014 in Berlin this year?